The cryptocurrency world is stirring. A technical indicator for an index tracking some of the largest digital currencies suggests the crypto industry could be poised to break out of its recent malaise and rally at year end. The MACD, or moving average convergence divergence, gauge for the Bloomberg Galaxy Crypto Index entered its first positive divergence in a month. The move corresponds with an upward trend in Bitcoin, which makes up around 30 per cent of the fund. Bitcoin is up for the seventh-straight day and is at its highest level in two weeks, hovering around US$6,500. Long-term trend lines in Bitcoin’s Directional Movement Index (DMI) also showed the digital token entering a new bullish phase this week. XRP, the cryptocurrency also known as Ripple and the index’s third-largest member, also moved higher this week, rallying nearly 10 per cent since Monday on news that a crypto exchange may list XRP on its trading platform. But Bitcoin and other cryptocurrencies have been volatile all year and the recent moves don’t excite everyone. 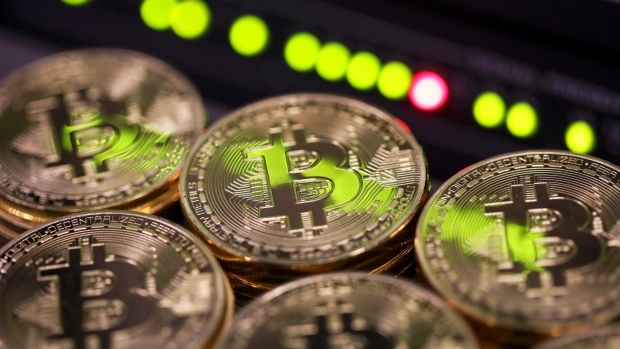 Bitcoin should be worth half its recent value, based on volume trends and historical pricing, wrote Bloomberg Intelligence analyst Mike McGlone in a note. "Wish them luck, but most of our indicators remain negative," he said. The Ontario Cannabis Store (OCS) seeks to add as many as 17 new product types to its sales catalogue when the items become legal in Canada, according to a list provided to BNN Bloomberg by two sources familiar with the organization's plans. Bombardier Inc. lost as much as a quarter of its value and bonds plunged after the company cut its 2019 sales forecast amid new struggles at its train-making business. High housing costs are not leading to an exodus of millennials from Canada’s most expensive markets, according to a new Royal Bank of Canada report, which suggests that future demand isn’t under threat in the country’s largest cities. Privacy watchdogs are accusing Facebook Inc. of “serious contraventions of Canadian privacy laws” in the Cambridge Analytica scandal.